Welcome to MUMOSA.com NEWS! 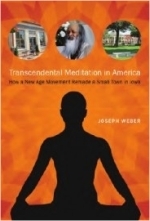 Catch the latest skeptical appeals to the Transcendental Meditation (TM) movement to which Maharishi University of Mangement subscribes. Our news bot, Daemon Newstand, scours the web daily in search of the latest and greatest reports surrounding TM and MUM.